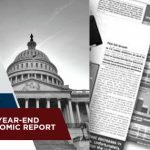 Washington, D.C. – The National Small Business Association (NSBA) today released its 2016 Year-End Economic Report which shows a small-business community with a vastly improved economic outlook than just six months ago. The number of small businesses anticipating economic expansion in the next 12 months increased from 29 percent six months ago to 54 percent today. Despite stubbornly slow growth in hiring among America’s small-business owners, hiring projections for the coming 12 months was up 10 percentage points. Accordingly, there were gains in small-business owners’ confidence in their own business: 80 percent said they are confident in the future of their business—the highest this indicator has been in nine years. Seventy-eight percent of small firms already are growing or anticipate growth in the coming year. The number one thing small business wants Congress and the Administration to do is end the partisan gridlock and work together, followed closely by tax simplification, reduce health care costs and address the deficit. NSBA also asked a number of federal contracting questions in the survey and found that, while the majority of prime contractors receive payment within 30 days, only about one-third of subcontractors do. The 2016 Year- End Economic Report was conducted on-line Jan. 16 through Feb. 8, 2017 among 1,426 small-business owners. Celebrating 80 years in operation, NSBA is a staunchly nonpartisan organization advocating on behalf of America’s entrepreneurs. NSBA’s 65,000 members represent every state and every industry in the U.S. Please visit www.nsba.biz or follow us at @NSBAAdvocate.